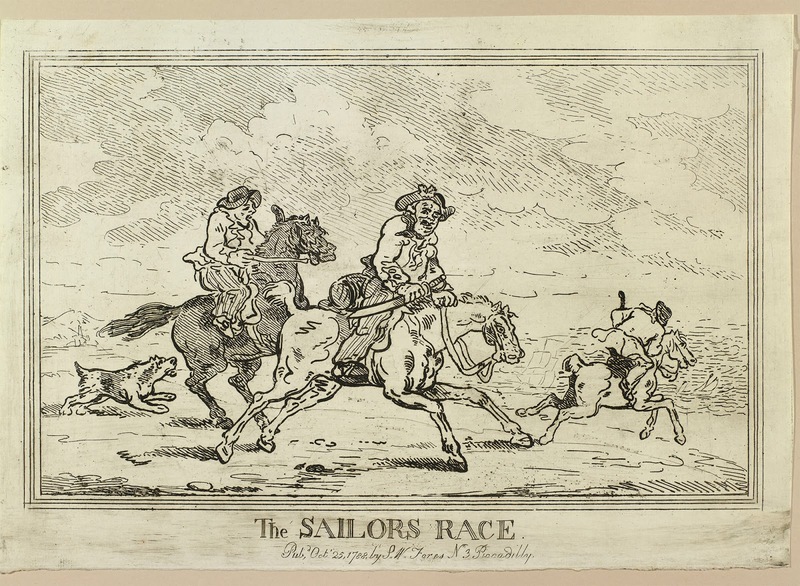 "The Sailors Race," S. W. Fares, 1788, Royal Collection Trust. Returning to the theme of sailors having no idea what to do with horses, this artist casts three hapless tars in the role of inept equestrians. 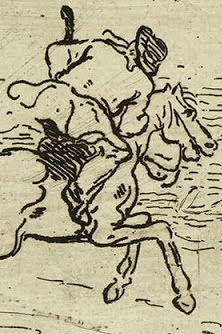 The sketch is full of flowing lines and grotesque depictions, a style that I admire as a product of its time. Rarely have I seen something like this reproduced by modern artists. On the far left is a jack in a wide brimmed and loose round hat. His jacket has slash cuffs, and his trousers are striped. Though he wears pointed toe shoes, it is mere speculation to draw any conclusions about the buckle. 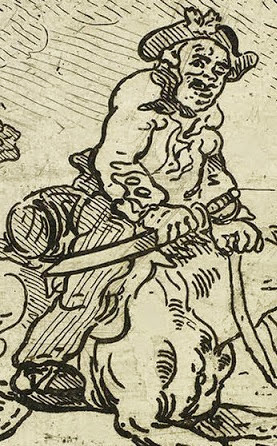 In the center rides a jolly looking sailor with a round hat turned up on each side and a large cockade on the right side. His jacket also has slash cuffs that button over with a flap. In his right hand is a cutlass. This jack's trousers are also striped. 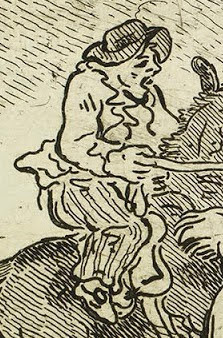 To the far right is another mariner, this one wearing a round hat with a more narrow brim, a jacket with a single vent at the back, and plain trousers.